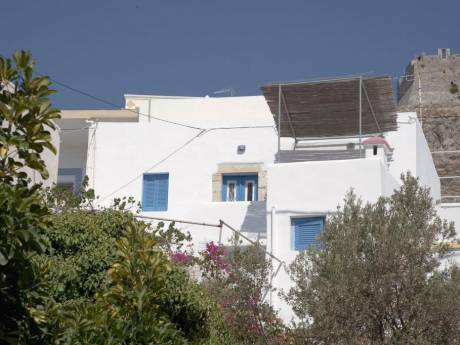 Tinos is one of the most unspoiled island of Cyclades complex, preserving its cultural and physical heritage. Our newbuilt house is at the outskirts of the traditional village with easy access by car. It is developed into two levels. 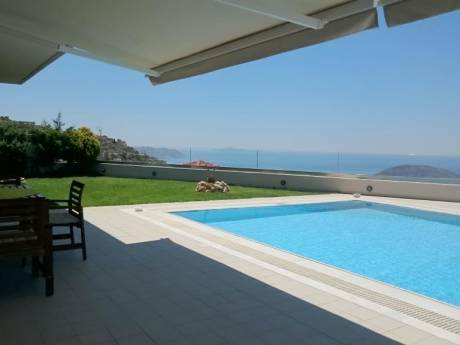 At the entrance level there is the living room with an open-plan kitchen and dining area and a big veranda-patio, with pergolas and breathtaking views towards the Aegean Sea and the neighboring villages. At the lower level-ground floor there are the master bedroom with king size bed and ensuite bathroom, a second bedroom with double bed, a bathroom, a storeroom-laundry and the exit to the garden. Private parking space in front of the house. for travelling. Although Tinos is my birthplace, since the age of six months old I live in Athens where I studied and where there is my own architectural practice. I have not done a home exchange before and for this reason my future destinations are for the moment, in Europe. The house is recently built, together with four additional villas witch are for sale. I visit the house quite often with friends and relatives and I love to spend my free time there. and my brother and his wife who are retired, mechanical engineer and archeologist respectively. Since the house is a vacation house, simultaneous exchange is not necessary. Nevertheless, during the months of July and August, its occupancy is very probable. Maximum period of exchange 3 weeks. and a bakery. A network of old walking roads is an ideal way to explore the island. The road network is in a very good condition. Car is recommended and can be rented at a cost of 20 euro per day. There many magnificent beaches all over the island.The closest beach is at a distance of 2,5 km. 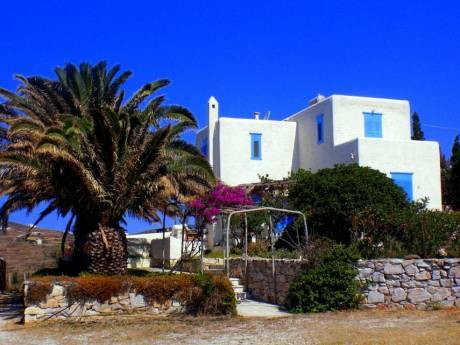 Tinos is connected by boat with several islands (Mykonos, Delos, Syros, Andros)for a day-return excursion.